Whenever we visit Kerala, we have been served this jeera water (cumin water). When I was younger, the yellow color of the jeera water used to amuse me. I have never given much thought about this jeera water till now. But now that, I am collecting and researching home remedies, I amazed at the plenty of benefits of drinking jeera water. Drinking jeera water regularly, balances the three doshas – vata, pita and kapha. Jeera water also helps in digestion. Since our country is hot most of the year, drinking jeera water cools the body. Cumin seeds are rich in iron and drinking this water helps women who are anemic. 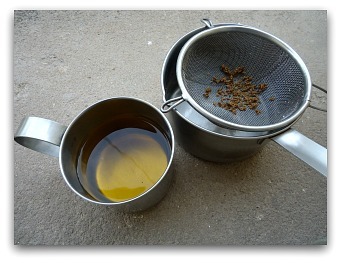 This jeera water recipe is prepared by boiling water in a pan. When it comes to full boil, jeera seeds are added and boiled for 10 minutes until the color of the water changes to yellow. Let it cool and your healthy jeera drink is ready. Keep drinking this water thought the day, to keep yourself healthy and hydrated. How To Make Jeera Water? 1. 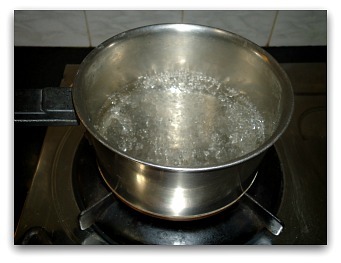 Boil water in a wide pan. Let the water come to a rolling boil. 2. 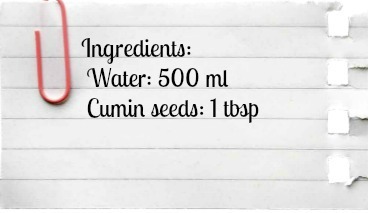 Add the cumin seeds into the water. 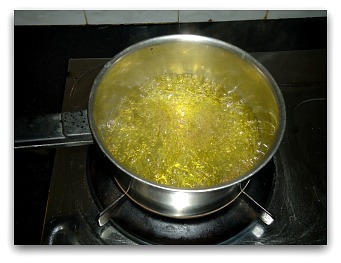 Let it boil for 5 to 10 minutes until the color of the water changes to yellow color. 3. Remove from fire. Strain. Cool and your jeera water is ready. Boil till the color of the water changes. Make it fresh every day. Is this safe to consume during pregnancy? Can one eat the jeera seeds too or should we throw them away? I usually discard the seeds after boiling.. In our place its a tradition to give 1 tsp jeera+ a pinch of turmeric boiled water reduced to half when the pregnant women starts getting the delivery pain.It settles false pains off saving unwanted trips to hospital. Is this safe to consume daily and how much amount is preferable to daily basis. 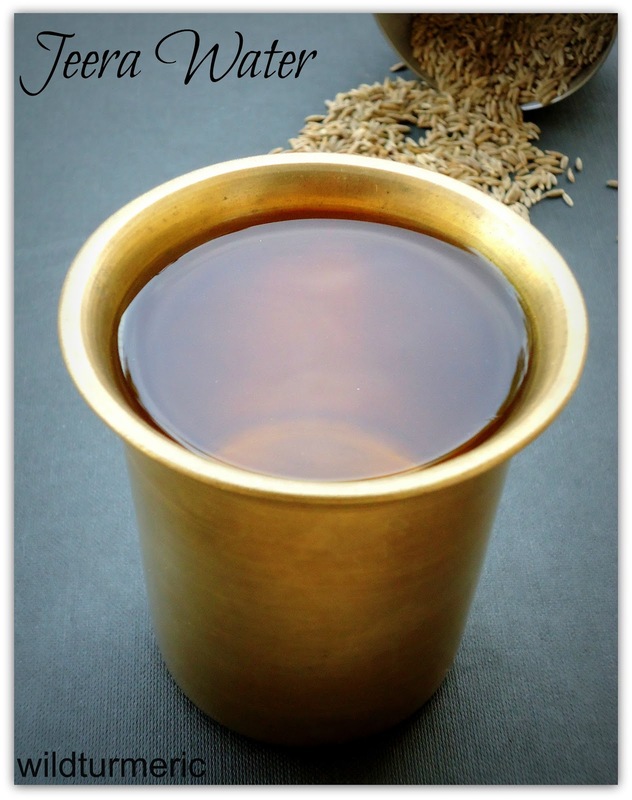 Is Jeera water cool or heat to our body? A very interesting site.Just want to know, since jeera water has a cooling effect is it sensible to consume this in the north during winters? love jeera water.Can you say what is added to water served in kerala hotels.When it rains ,they serve hot water ,light pink in colour.Thanks in advance. Hi the name of the herb in Kerala is pathimugam.it helps to remove toxins from your body. Dear Ramya,thank you for sharing your recipes and for providing a lot of useful information for improving ones health. Hope you will continue the good work! What is the best time for taking jeera water.befor food or after food. Though you can take jeera water any time of the day, it is best to take it in between meals…. Hi Ramya, I am 54 years old, Please let us know the quantity of Jeera seeds and water for daily use. Though jeera is well tolerated by everyone, I would suggest starting with 1/2 tsp of jeera seeds and slowly increasing it to 1 tsp over the weeks….